Finally, I can enjoy a cup of coffee without having to awkwardly avoid eye contact with those awful bloody gorillaz. They’re not human you know. 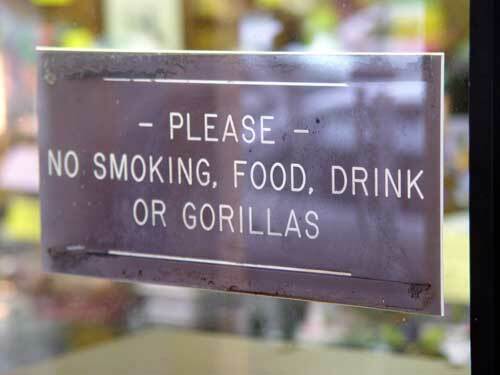 places should not be segregated between us humans and other primates!